This article is exclusive to Pointer — a reading club for developers. Signup at Pointer.io for our weekly newsletter. We’ve all seen the presentations, meant to read the books, cursorily scanned the articles, and pretended to listen to respected and knowledgeable software architects talk on and on and on about how to create better APIs, what API design is, patterns for good APIs, blah blah blah blah blah. They just blather on at length, and about what? About methods? About classes? About actual coding? No — they talk about proper abstraction. And conventions. And style. And layering. And modularity. And things that have nothing to do with how to cleverly name my exposed public fields or how many lines I can fit into a file before it surpasses the size limit of my IDE or how I can write the quickest code possible before I drop my awesome library out into the wide world and wait for eager to developers to jump onto it. In that light, I thought I’d add some API rules of my own. Just as a counterpoint, like. 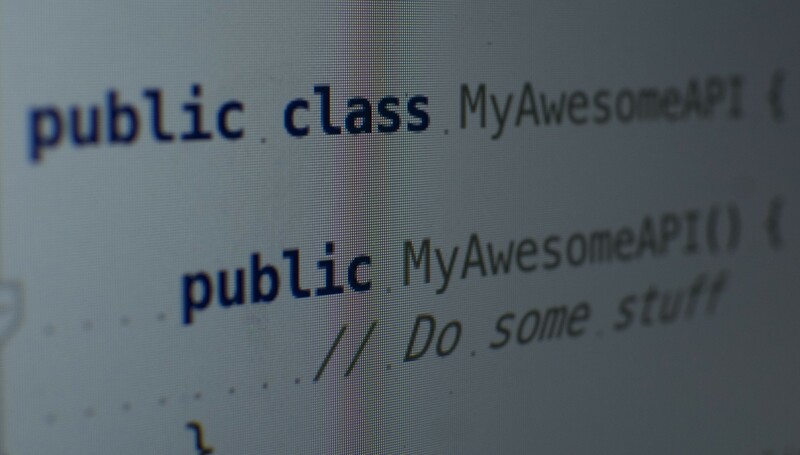 Following are some of my personal favorites for creating APIs for the rest of us. How many times have you tried to use an API and went looking for a method that did what you wanted, but you couldn’t find exactly what you were looking for? This problem is exacerbated in modern development practice since nobody actually reads the API documentation. Instead, API discovery is through guessing and code-completion shortcuts. So if you’re trying to code-complete a method name that’s simply not there, you’re out of luck. In my IDE, I’d start typing “toge” because any reasonable method name would use the word “together,” and then I’d hit the shortcut for code-completion and the IDE would be of no help whatsoever. Because the API developer simply hadn’t thought about me and my important use case. Now I could complain that their approach was too terse and vague and that they should have named the methods the way I wanted instead. But I can’t tell what was on their mind at the time, so I’ll withhold judgement and just put it down to inexperience, or a typing handicap, or an unfortunate case of unfettered stupidity. But what I can complain about (and probably will, on Stack Overflow and Twitter) is that they didn’t offer reasonable alternatives. A good developer of bad APIs should anticipate the many, diverse ways that their API may be used and should write it to flexibly handle all of these situations. For example, how hard would it have been for the developer to have offered the following set of methods instead of just that one? With such a large set of options, I’d have a much better chance of finding the method I wanted. Note that these methods represent a small subset of the possibilities and don’t capture the full API surface that is possible. Remember: adding additional API is just adding code, which only requires additional download time and bandwidth, plus extra storage on the device for every app that uses it. What’s the harm in taking up more resources for the end user if it might make the developer’s life a bit easier? See? How hard was that? Rule #2 is justlike Rule #1, but slightly different. Variety in capitalization exists in language for a reason. USE_IT! But constant fields are not the reason that capital letters were invented, so why are we using them in this unnatural way? Capital letters exist in our language for YELLING AT PEOPLE! And for EXPRESSING ENTHUSIASM! And for TELLING PEOPLE THAT YOU ARE NOT VERY FAMILIAR WITH COMPUTERS. This is related to Rule #3: if you’re going to use ALL CAPS, you’re going to need some underscore characters to separate all of those words. CamelCase must have been invented before capital letters, because it does a horrible job of SEPARATINGCAPITALIZEDWORDS. (See what I mean?) But_underscores_make_long_phrases_of_multiple_words_completely_readable. I can’t underscore this point enough. But_actually_I_can_and_you_can_totally_read_it_when_I_do. Everyone’s tired of writing a lot of code. Why not make it easier for your developers by allowing them to call fewer methods that do more? Now all you have to do as the API developer is to provide the matrix of all of the operations that you think your developers might need, like multiplysubtract(), and addmutiply(), and multiplydivide(). You probably also want to provide more complex variations, too, like multiplysubtractmultiply(), and addaddsubtractadddivide(). And of course you wouldn’t want to have to have your developers compose similar operations, so consider things like addaddaddadd() and dividesubtractdividesubtractdividedividedividesubtract() as well. It’s this kind of careful forethought and up-front design that will help you create the most flexible API for your developers. While these rules by no means encompass all techniques for creating bad APIs, they are at least a good start and should be adopted by any developer wishing to create the very worstAPIs. You know that other requirements will come up, and there’s always another version you can ship. So why bother finishing what you have? Just ship it. Mistakes and omissions: they’re why version numbers were invented.